This feature has been a long time coming. Every app developer that I’ve ever talked to, whether they are on Apple’s App Store or in Google Play, loathe the fact that they can’t reply to user reviews, suggestions, feedback and complaints. It’s one of those things that has always boggled my mind. Google Play has absolutely nailed it with today’s launch. User reviews on Google Play are great for helping people discover quality apps and give feedback to developers and other potential app users. But what about when developers want to give feedback to their users? Sometimes a user just needs a helping hand, or perhaps a new feature has been added and the developer wants to share the good news. That’s why we’re adding the ability for Google Play developers to respond to reviews from the Google Play Android Developer Console. Developers can gather additional information, provide guidance, and — perhaps most importantly — let users know when their feature requests have been implemented. This is further proof of something we’ve been saying for a while, Google is becoming a social company in front of our very eyes. Inside and out, Google as a company has been transforming the way it does business, discusses its products and introduces new features. It’s no longer a one-sided conversation, which is difficult to pull off when you’re a company of that size. Unfortunately, not all developers will have access to this feature right away. 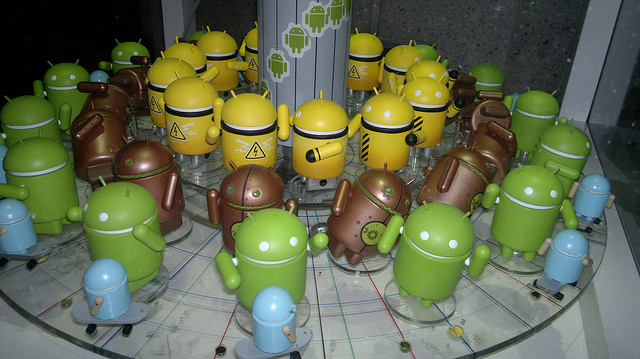 Those with a “Top Developer” badge, which are given by the Google Play team, will be the first to try this out. When a developer replies to a user review, an email will be fired off to them as an alert of the response. This is something that should be integrated within Google+, which can’t be far off. Using a third-party support system isn’t always a fun proposition, especially for app developers. In another life (like last year), I was with a company which had apps on both of those platforms. I’d watch users ask questions with the review system and there was simply no way to help them out directly. Since most companies who deal in apps spend so much time in the environments in which they developer, it makes complete sense for support to be integrated as well. In short, this is a huge opportunity for Google. Conversations are meant to be two-sided, and facilitating discussion between developers and users will ultimately yield better apps, to the benefit of everyone. Apple should absolutely take notice, because a lot of users end up not using apps anymore because of a simple misunderstanding or issue that hasn’t gotten resolved because its difficult to reach a developer. Do you know how many times a user might have an OS issue, or a problem that a simple restart of a device might fix? More than you’d think. By opening up the lines of communication within Google Play, it’s most certainly a plus for developers who are looking for a platform to focus on. Social equals engagement, just ask Apple’s new pal Facebook.